The 1st Garnier micellar-infused cotton pads, tailored for eye makeup removal. Ultra-gentle formula with aloe. These micellar infused cotton pads are gentle, precise & convenient for eye makeup removal. Instantly removes eye makeup without rinsing. IN 1 EASY STEP: Removes eye makeup & soothes, no greasy residue. Perfect on-the-go eye makeup removal. Garnier Micellar eye makeup remover cotton pads are ophthalmologist and Dermatologist Tested for Safety. They are suitable for sensitive eyes and contact lens wearers. Formulated with Micellar water & aloe the eye makeup remover pads are fragrance free. No mineral oil. I love this so much for travel, it takes off everything without my face feeling greasy. 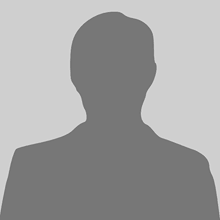 I got a sample from PINCHme.com to review it. 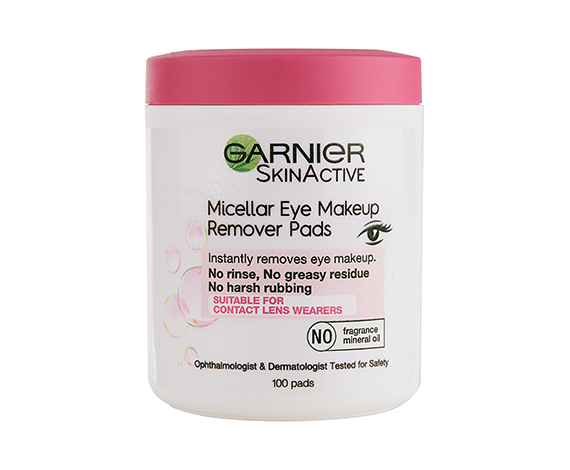 The Micellar Eye Makeup Remover Pads from Garnier SkinActive are awesome. They are very easy to use and you don't need more than 2 pads to remove all the makeup! I received a sample of Garnier SkinActive Micellar Eye Makeup Remover Pads from PINOChle and I was super surprised at how well it works!!! I first tried removing eye makeup and it literally worked like a commercial!!! I then used them to remove Halloween makeup from my daughter, which can normally stain your skin. Again, amazing!!! Like there was nothing ever there!!! I'm very impressed with this product!!! I love Garnier skinactive micellar eye makeup remover pads! They are amazing even with my contacts! I used the Garnire SkinActive Micellar Eye Makeup Remover Pads and I must say it was better than expected! My eye makeup came of with one wipe, literally! I didn’t not expect that to happen, especially with me having on so much makeup. I actually just received these right before Halloween. Thank goodness I did. My daughter had face make-up on, I tried a wash cloth. Nothing, so then I remembered my sample of GARNIER SKINACTIVE MICELLAR EYE MAKEUP REMOVER PADS. I used it to gently wipe off the face make-up. It worked great. Her face was clean in not I'm, didn't have to scrub or use soap. This is the best eye makeup remover ever. I'm definitively going to buy this product. I recommend this to everyone i know. 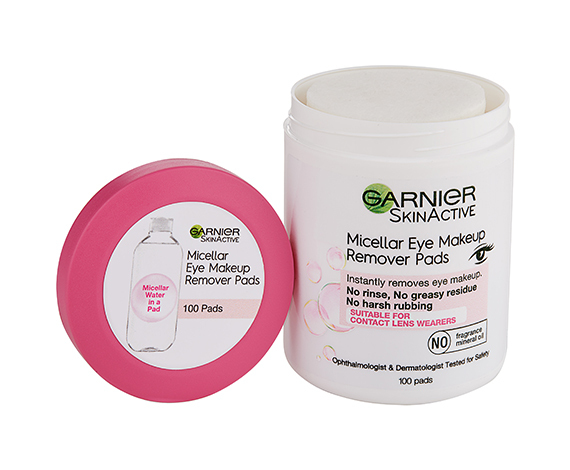 Garner SkinActive’s Micrllae Eye Makeup Remover Pads are amazing. They take off makeup so fast and leaves my skin feeling smooth. These are the best makeup remover pads ever!!!!! Garnier skin active has made a genius product. These micellar eye makeup remover pads remove everything leaving your face feel amazing. When I first recieved the garnier skin active micellar eye makeup remover pads I was really impressed of how well they worked. Literally with one swipe of he pad it took off most of my makeup. I totally recommend to everyone and will be purchasing more. Remove my makeup really well and with ease. Leaves my skin feeling soft! I really love Garnier SkinActive Micellar Eye Makeup Remover pads! It removes my eye shadow, waterproof mascara and eye liner with ease and doesn't sting my eyes like other makeup removers. The pads are perfect size to get the job done. The container is nice also, not too bulky, fits on my makeup vanity perfectly. Great Product!! I received this free from PinchMe. I love this product. It removes all of my makeup without it being to harsh on my sensitive skin. I really liked this product. I have dry eyes and most makeup removers make them worse. This product did not effect my eyes at all. I received the Garnier SkinActive Micellar Eye Makeup Remover Pads free, from PINCHme. I love the Micellar Eye Makeup Remover. This is my first time trying the pads. To be honest, these were the smallest makeup remover pads I’ve ever tried. Because they are small I ended up using 4 in total. They did remove my makeup but I don’t think I’d buy these for normal day to day just because the size is so small. I’d be more inclined to purchase makeup remover pads that are larger so that I don’t have to use as many. I got the Garnier Skinactive Micellar Eye Makeup Remover Pads for free from PINCHme and i liked it! I use the Garnier SkinActive micellar cleansing water to take off my makeup, but the remover pads are more convenient! They come in a little container which is really easy to store compared to the big bottle of micellar water. One downside though is that it does take a little more time to take off my makeup because the pads aren’t as wet as i’m used to, but maybe that’s just me! I didn’t feel any oily residue or anything after using it and i’ll continue to use it in the future, especially when i’m traveling. I received a free sample of Garnier SkinActive Micellar Eye Makeup Remover pads from pinchme.com. It takes my makeup off nicely. They are the right size for it's usage. I will probably buy this product in the future. I really like these Micellar Eye Makeup Remover Pads, and the Garnier SkinActive line of products. They do a great job of removing my eye makeup, I only deducted 1 star because they are a little small, I don't wear a ton of eye makeup and the pads are totally saturated with my makeup after. If they were a little bigger they would be able to remove more with 1 pad. Overall they are a good product to have. I really like these eye makeup remover pads. They are so gentle on my eyes and work well. I will deffinetley purchase in the future.